Great designs don’t come out of nowhere, they are born, nurtured, and grow. 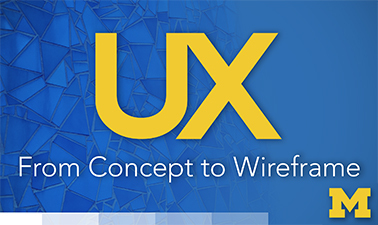 In this UX course, you will explore the process of taking a basic concept, grounded in user needs, and develop it into a design that will address those needs. Using ideation techniques, comparative research, sketching, storyboarding, architecting, and wireframing, you will gain hands-on experience in building a compelling user experience from scratch. The instructor is excellent and the content is well paced. The assignments were well designed to push you out of your comfort zone a little, but not too far. There were some technical issues with the submission of assignments, which were an annoyance, but didn't detract from the learning opportunity.